I suppose it was because of the January 25, 1964 issue of TV Guide that I became acquainted with Lisa Howard. That was the issue that looked back at TV's coverage of the JFK assassinations; I've written before about how I grew up with that issue, reading it over and over until I was familiar with the most obscure programs (several of which have since wound up in my video collection), knowing that this was a gateway to a time that I was a part of but only vaguely remembered. In that issue was an article by Alan Gill about the "ever-persistent" Lisa Howard, a reporter for ABC, accompanied by a picture of a redhead wearing a vivid shade of red on her lips. It was a very effective photograph, not the kind of thing you're likely to forget. 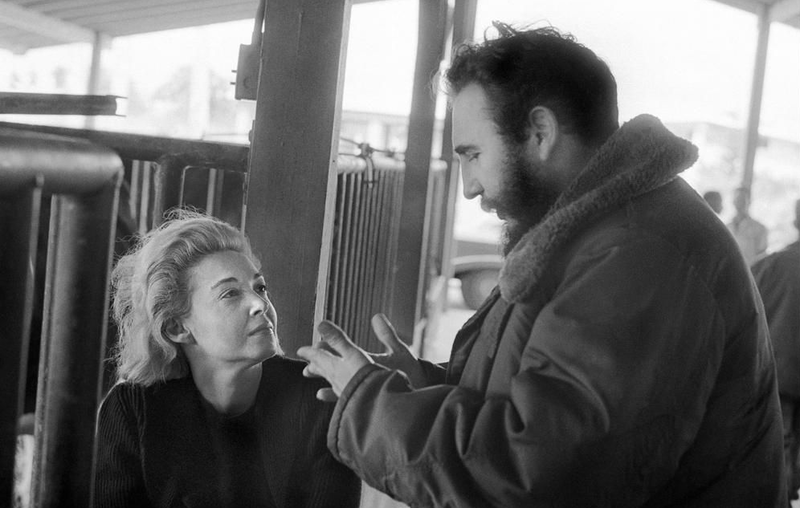 The article discussed her transition from soap opera actress to political activist to reporter, particularly her headline-making interview with Fidel Castro. Since I'd committed the contents of that issue to memory, I filed the name Lisa Howard there as well. There haven't been many opportunities over the years to use that information. Howard appears in ABC's JFK assassination coverage, but aside from her daily show she doesn't show up as much as you'd think she should, given her credentials. Indeed, her story takes a tragic turn; after being fired from ABC and suffering a miscarriage, she fell into a deep depression and committed suicide in 1965 at the age of 39 - less than 18 months after the TV Guide article appeared. All this is background to a fascinating article by Peter Kornbluh in Politico, "'My Dearest Fidel': An ABC Journalist's Secret Liaison With Fidel Castro." Without even seeing the story, bells were going off in my head, and I had an idea who that journalist would be; clicking on it merely confirmed my suspicion. It's a brilliant piece of long journalism, the kind that we don't see often enough anymore, documenting the details of how Howard became an intermediary between Havana and the White House, a story of politics and intrigue worthy of any spy novelist. And, befitting a spy novel, there's a romance between Howard and Castro, which makes the story even more intriguing. In some ways Howard reminds me of Dorothy Kilgallen, another famous female reporter of the time, one who covered the big stories (and, in the case of Dr. Sam Sheppard, was part of it), saw herself as part of history, and died under tragic circumstances from an overdose of pills.